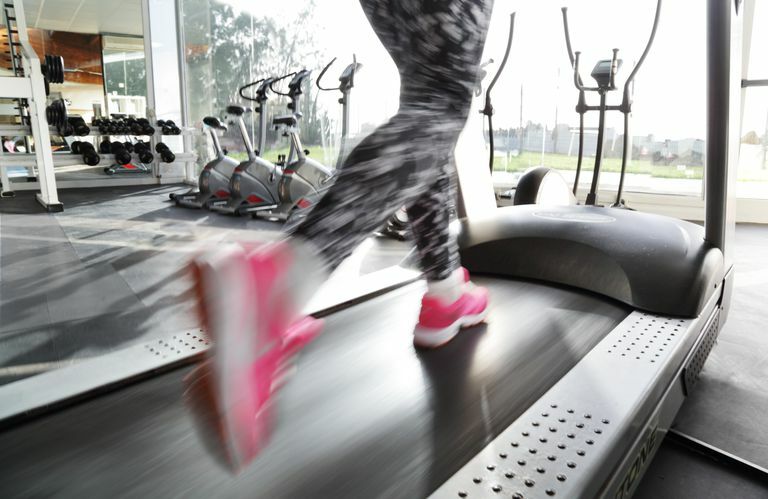 If you're trying to burn calories and lose weight using cardio machines, we have a challenge for you: Put down the magazine, turn off the television, take the towel off your display and stop looking at your watch. Okay, you can keep the iPod or MP3 player, but everything else has to go. Why the drastic measures? If you aren't paying attention, you may not be working as hard as you think. There's nothing wrong with zoning out from time to time when you workout, but if you do that all the time, it's easy to slack off on your intensity. The following workouts will help you pay attention to what you're doing, change the settings on your machine and burn more calories. Modify each workout according to your fitness level and feel free to increase or decrease speed, incline and/or workout time to fit your needs. For each workout, warm up with 5 to 10 minutes of light cardio and keep track of your perceived exertion or monitor your heart rate. Use this calorie calculator to determine how many calories you're burning. End with a cool down and stretch. Start with incline at zero and speed at a pace just out of your comfort zone (walking or jogging). Perceived Exertion (PE)=Level 5. Using the manual program, enter workout time as 30 minutes and choose a level of resistance that takes you just out of your comfort zone (PE=5). Repeat entire cycle for remaining time to complete 30 minutes. 5 Minutes: Cycle at a moderate pace. PE=5. Repeat the entire cycle for 30 or more minutes. Instead of spending 40 minutes inside a sweaty gym, head outside for a walk/run. Warm up with a brisk walk/slow jog for 5 to 10 minutes. Jog/walk briskly for 3 minutes. Sprint or speed walk as fast as you can for 30 seconds or to something in the distance (a mailbox, a tree, etc.). Repeat this cycle for 20 to 30 minutes, keeping PE between 5-9. You can also try this outdoor circuit 1 to spice up your outdoor workouts and add even more intensity. Changing your settings not only makes your workouts more interesting, it forces you to pay attention to what you're doing, how hard you're working and how long each interval is. This not only keeps you from getting bored, it also helps burn more calories and increases your endurance very quickly. All you have to pay attention to is what you're doing in that short interval. The rest of the workout doesn't matter. Use this technique with any cardio activity to keep things interesting.